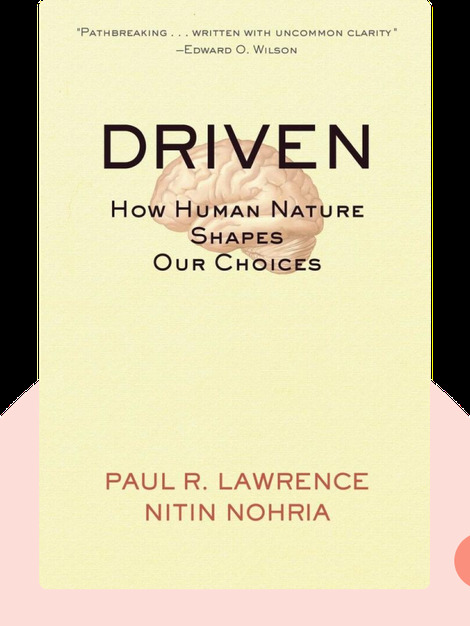 Driven (2002) is about the four innate urges that determine our behavior: the drive to defend, the drive to acquire, the drive to bond and the drive to learn. It outlines the reasons these traits arose in humans specifically, what they mean for us in the modern world and how we can use our knowledge of them to our benefit. Paul R. Lawrence is a writer and professor at Harvard Business School. His work focuses on organizational design, management and the psychological underpinnings of business. Nitin Nohria is also a writer and professor at Harvard Business School. He’s edited or coauthored several books, including The Differentiated Network. 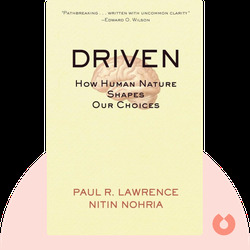 © Paul R. Lawrence: Driven copyright 2002, John Wiley & Sons Inc. Used by permission of John Wiley & Sons Inc. and shall not be made available to any unauthorized third parties.